Have you ever decided to take a casual trip to the pet store but once there found yourself standing in the pet food aisle dazed and confused?! Why is that aisle so long? Why are there so many pet food options? 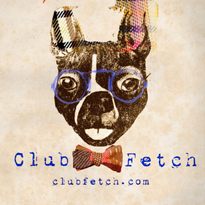 Every bag, box, tube, or container has a colorful logo and is doing everything it can to convince you that theirs is the best for your dog. 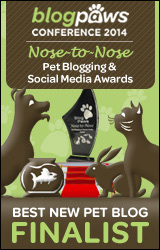 How can you know what is BEST for your dog or cat? Who do you trust? I had all these questions and I wanted to be sure that what I was giving Basil was the best. 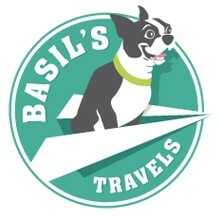 For today’s Basil’s Favorite Things I am going to share how we found Basil new dog food and why we truly think its the best pet food on the market. This is Basil’s Favorite Things — The Honest Kitchen. 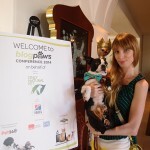 It all started a little over a month ago at the BlogPaws 2014 pet blogging conference in Lake Las Vegas, NV. (You may have heard me mention it…) The conference was full of pet blogger and a ton of brands. There was a whole huge conference room full of booths featuring brands from many pet food companies as well as everything else awesome for your dog and/or cat. This is where we met The Honest Kitchen. Their large booth and smiling faces first drew us in. Also, the fact that Basil somehow knows who has treats and will give them to him, also helped. 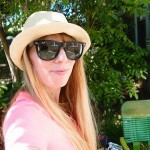 Once at the table we met Kate, the digital storyteller for The Honest Kitchen. Kate provided Nate, Basil, and I with all the information about this unique pet food and let us go home with a lot of samples. 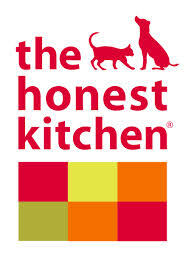 The Honest Kitchen is a dehydrated raw Human Grade pet food. It is the only U.S pet food company that is certified by the FDA to use the Human Grade seal on their packaging. This means that 100% of their pet food is produced in a human food production facility not a pet food plant. This really stuck out to me. This mean all their ingredients are natural and if you wouldn’t eat it, your dog shouldn’t be eating it either. The ingredients used are real (free-range) chicken, real (cage-free) turkey, real fish, and real beef. They use natural whole grain, as well as fresh produce like potatoes, celery, carrots, and green beans. Kate also told me the all there food is personally taste tested by The Honest Kitchen’s employees. I don’t know about you but I’m 100% positive I would not taste test Basil’s old food but I would try The Honest Kitchen. Once home from the BlogPaws conference we immediately switched Basil over from his old food (dry kibble) to The Honest Kitchen. We received a few different samples while at the conference so everyday Basil got to try something new. For Basil, he receives 1 cup of food a day. 1/3 at breakfast, 1/3 at lunch, and 1/3 at dinner. So when we were making the transition from dry to dehydrated we just started with dry for breakfast and dinner and THK for lunch. Slowly we switched over and now we are completely off the dry kibble. Once the samples ran out, and we were convinced by THK, the plan was to find a local store that sold it. 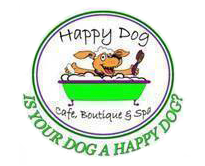 Lucky for us our favorite local little “mama & pop” pet store, cafe, and day care, Happy Dog Cafe, is a preferred seller of all things The Honest Kitchen. The first box we brought home was Keen. 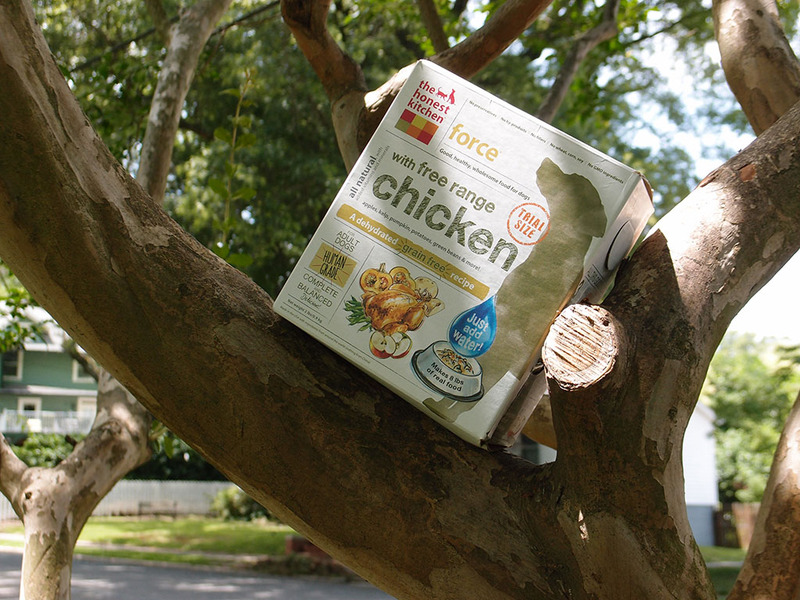 A food made of cage-free turkey, low gluten oats, and garden vegetables. Basil doesn’t have a wheat or gluten allergy (knock on wood!) like many dogs of the bully breeds, so, our options are wide open. 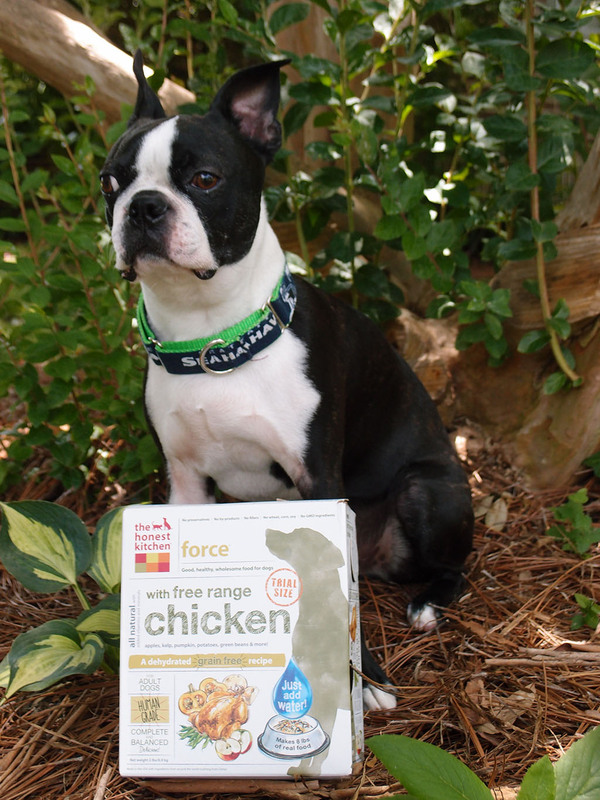 But if your pet does has a specific allergy, like gluten, or just does better without eggs or beef, The Honest Kitchen has a type of dog food that would best suit your needs. Basil loved Keen but knowing of all the great options THK has to offer we wanted to try something else as well. The next box we received is Force. This is perfect for Basil because at 25 lb. 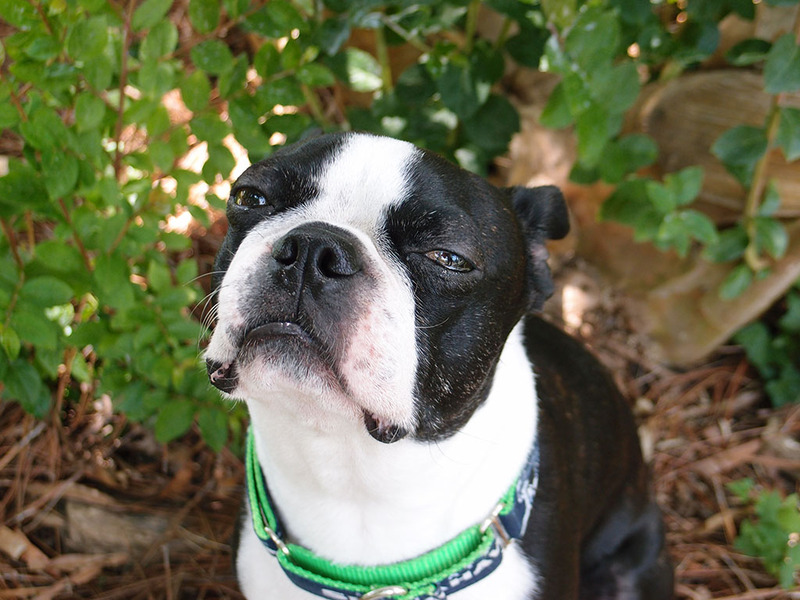 he is a little over the average for a fit Boston terrier. We would love to have Basil lose 2-3 lbs. just to become a little more health and little more crazy! Another great thing about The Honest Kitchen is how simple it is to prepare. Being a dehydrated raw food it does not require refrigeration and just needs to be stored in a cool, dry place. To serve THK to your four-legged friend all you need to do is add warm water, stir, and wait. I think the waiting is the hardest part for Basil. From the second I get the box out of the closet and start running the water he knows its game time. The next 5 minutes are filled with crazy eyes, and sad cries. But once his full dish hits the mat he goes to town. One of my favorite things now is watching him eat. 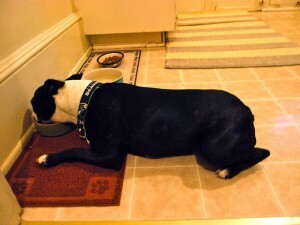 He loves his new food so much he actually lays down to fully enjoy his meal. 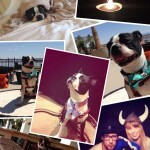 So, its been about a month since we started this new pet food journey and we couldn’t be happier. Basil already looks like his has slimed down a little bit and once his next vet appointment rolls around I’ll share with all of you our weight loss progress. We highly recommend heading over to http://www.thehonestkitchen.com and checking out this amazing food for yourself. You can also find a local store near you that carriers The Honest Kitchen or order online. So recap: What is The Honest Kitchen? If you would like to win a free 2 lb. sample box of The Honest Kitchen leave a comment below (using a current email address) telling me what makes your dog or cat special and I’ll pick 1 lucky winner at random. Giveaway closes at 11pm on Friday June 20th, so get your entries in now! Hope everyone is having an awesome Friday and enjoy your weekend… you deserve it! Hot dog loves hot dogs!